Indian Diamond & Jewellery Industries Turning to the Technical Lane! Right from hi-tech close circuit cameras, video door phone, digital video recording to state-of-the-art fiber lasers, green laser technology and Automatic Polishing Units, the technology level of the diamond and jewellery industries in India has undergone a sea change over the recent years. Traditional manual methods of polishing, manufacturing and designing have been replaced with utilization of hi-tech, speedy and effective machinery and software. The entrepreneurs in the industry are now always on the lookout for better technology for their units. Indian diamond and jewellery industries in terms of technology are no less than their counterparts in China, Hong Kong, Belgium, Dubai or Italy for that matter. But just having the technology is not an end in itself; it is a means to achieve the end product. Since diamond and jewellery are non-standardized products, a perfect blend of manual labour and machinery is required. Improper bifurcation of skilled, semi-skilled and unskilled labour has led to entrepreneurs investing huge sums into procuring latest technology and the labour down the line is not skilled enough to get maximum results out of the machinery. This is where Indian manufacturers in the precious industry need to pay more attention. Also there is a considerable gap in the technology status of the manufacturing unit and that of the administrative office or building not just in the entire industry but in an individual unit itself! Due attention to in-house ‘Research & Development’ (R & D) is largely missing which if taken care of will make the traders self reliant in terms of efficient utilization of the available technology. 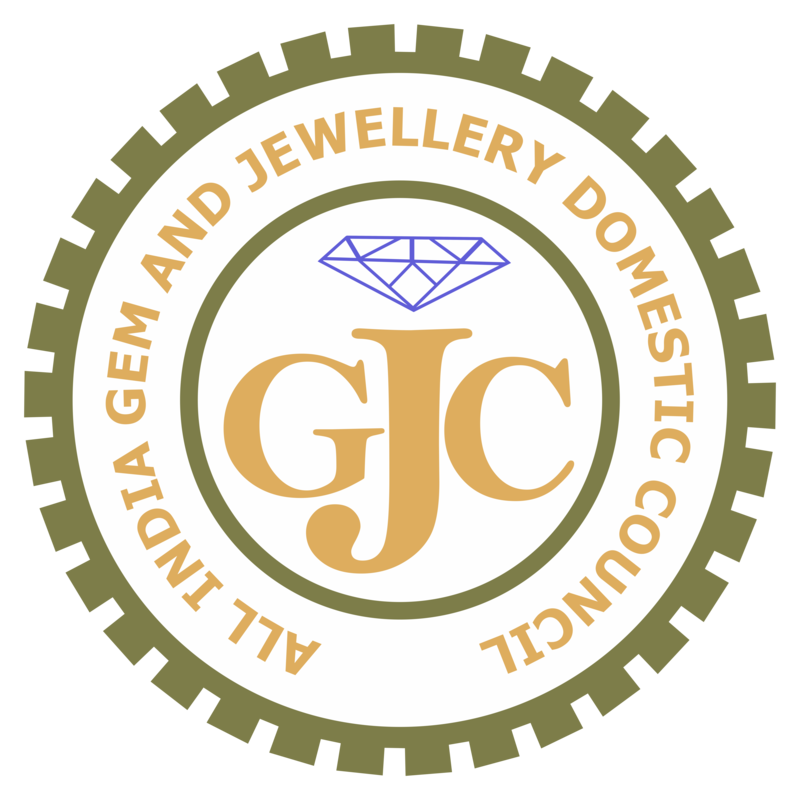 However efforts are being made by manufacturers and the Gems & Jewellery Export Promotion Council (GJEPC) to focus on building strong in-house Research & Development section. The technological providers on the other hand are working to make available. Technical know-how, tailor made machines and systems as well as provide prompt ‘After-Sales Services’, to have an edge over others. But at the end of the day, considering that India’s diamond and jewellery industries are still essentially close-knit family undertakings, it is worth appreciating that many traders are venturing to welcome professionals and embracing world class technology and systems. Till a few years back awareness in the diamond industry to adopt latest machinery and systems was very few. Most of the work was done manually which not only made it tedious but was not cost effective as well. Today everyone in the industry seeks quality, reduction in time and cost effectiveness which is why adopting latest technology is the buzz word amongst all entrepreneurs. Though considerable changes have taken place in technology level of the diamond sector yet not much has changed in the jewellery sector. Today the Indian precious industry is brimming with state-of-the-art machinery and equipments. We have Automatic Polishing Units, Green Laser Technology, Inclusion Plotting Machine that analyzes impurities in the gemstone, Pin Diode which is used to identify metals like iridium and ruthenium which are clandestinely used in jewellery manufacturing. Fiber Laser which has the capacity of 15,000 working hours and above consumes less power and requires less maintenance as compared to regular lasers, Auto Blocking Machines which are used for polishing diamonds. As most of the machines and softwares are hi-end, there should be a distinct demarcation of workforce in the factory so that machines are not mishandled and there is maximum utilization. A few efficient organizations have actually gone out of the way to conduct classes and workshops for their workforce to make them learn how to work on modern machines. As stated earlier, just by having latest tools, equipment and machinery is of no use till the time they are efficiently utilized also. Today Research & Development is the backbone of any organization. Business houses shell out huge sums of money to find out loopholes in their own systems and to improve them. Since raw material itself which comprises precious stones and metals is very expensive in this industry, it is important for traders to understand that once a huge amount is spent in R & D, the infrastructure, machineries and technology would serve the company for years to come. 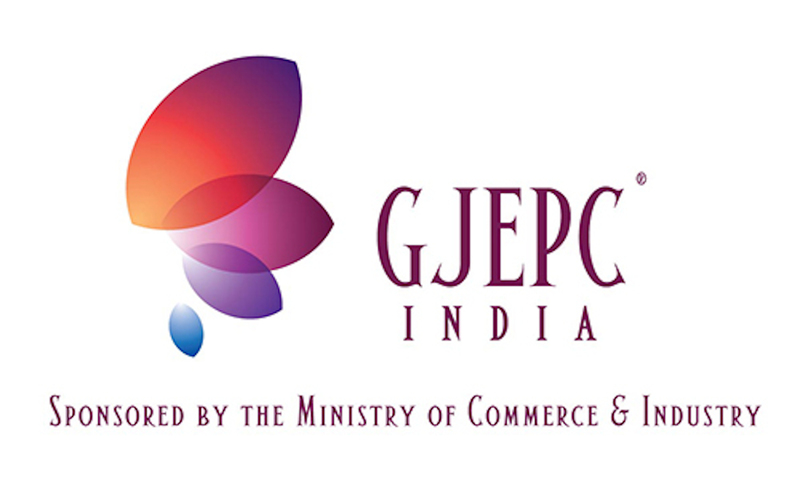 The Gems & Jewellery Export Promotion Council is making efforts to encourage entry of professionals in the industry and to motivate the industrialists to develop their R & D.
“Although R & D is not very popular in our diamond and jewellery industry, but GJEPC is making all possible efforts to involve professionals and to develop R & D in the organizations,” informs Sanjay Kothari, Chairman GJEPC. Apart from providing machinery and software, the technology providers are paying a lot of attention to offer prompt after-sales services. The system of providing after-sales services has undergone considerable change over the years. Now customer care is the buzz word which includes conducting seminars on the advantages of the latest techniques, special training sessions, and so on. Looking at the technological developments in the diamond industry, it seems in the years to come, diamond and jewellery industry would be one of the most technically advanced industries in India. What when the concept of nanotechnology sounds promising for the precious industry. Dr. V. K. Tripathi who is guiding a Ph.D. project for quantifying HRD-parameters for enhancing the technology –absorption index which is an objective of the Department of Science & Technology, Govt. of India and CEO of Virtus Techno Innovations, a company dedicated to R&D in nanotechnology, avers, “Diamond is basically carbon (fundamental building block). Humans too comprise ten thousand billion-billion molecules of protein. And each protein is an atom of carbon and amino acids. So, Lifegem, a company in Chicago USA, has developed a technique to extract carbon from human-hair and compress them into yellow or blue diamonds. The cost is about 50% of the natural diamond. But Nanotechnologies are already finding uses in Laser cutting, sawing blades, laser lamps, bruiting machines and polishing machines. The cost and quality parameters in diamond processing can beat the global bench marks through the use of three nanotechnologies. The table on which the diamond in fixture sits, does move in all three directions (X,Y&Z) within the guides and a ball screw (moved by stepper motors and servo motors). Due to the diamond dust, the guides as well as the ball screw do wear out. Normal life of the table is one and a half year and may cost upto Rs. 1.5 Lac. The micro wobbling of the table causes quality degradation and diamond weight loss particularly in the last six months’ use of the table before replacement. The sputtering nano-technology is used on a new table guide to give a restoration of additional life of 0.5 microns variance. This will give a diamond finish which is hitherto unheard or unseen. The scratch and cut are completely eliminated. The weight loss can be reduced to less than the current acceptable limit. Currently the ball screw and the guides are replaced after one year when the wear is about two to five microns. The use of nanotechnology will reduce this process variance to virtually ‘zero’. The bonus benefit is the steep reduction in the cost of replacement of the guides and ball screw. The biggest role of nanotechnology is to ensure steep reduction in vibration levels in laser sawing, bruiting, polishing and normal manual-sawing. The ratio of manual to machinery oriented work in the diamond sector is 40:60 i.e. 40 per cent of work is done manually and 60 per cent by machines. Whereas in the jewellery industry the manual to machinery ratio is just the opposite i.e. 70:30, which implies that 70 per cent of the work is done manually and the rest 30 per cent by machines. “Ratio of manual to machinery oriented work is 40:60 in our diamond industry. In a sense this is an achievement but still I would say that a perfect blend of manpower and machinery is required. Technology is just a medium, not the means to achieve better production,” says A. D. Shah. Presently most of the machinery is imported from countries like Germany, Russia and USA but traders feel a need for indigenous machinery and equipment. Technology manufacturers to have service centres in India. Daniel Benzano, CEO, OGI systems disclosed “ We are now promoting our Inclusion Plotting Machine that would analyze impurities in the gemstones. Technology level of the Indian diamond and jewellery industries is growing by leaps and bounds. One of the reasons is the increasing number of professionals joining the companies which were previously run only by family members. In terms of manufacturing techniques and technology, Dimexon started from the basics of polishing. A. D. Shah, partner, Venus Jewels says, “Over all the technology level in India on the manufacturing side is quite good as compared to the last decade. But attention needs to be paid for the technology on the administrative side. Employees just use computers to transfer data but optimum utilization of technology is absent. Diamond World: Since when are you providing services to the Indian diamond industry? Daniel Benzano, CEO, OGI: We have been selling equipment to the diamond industry in India for 15 years now. OGI Systems Ltd. Company’s main idea was to invent new and advanced technologies to promote the diamond industry, which in those days was operating with old fashioned technologies. Diamond World: What your company specializes in? Daniel Benzano: Our specialty is the development of sophisticated lasers systems for the diamond industry starting from the very first step of analyzing the rough diamond when purchased, manufacturing of the diamond, marketing of the diamond for both manufacturer and retailer. Diamond World: Where do you foresee the Indian Diamond and Jewelllery Industries five years from now, in terms of technology? Daniel Benzano: If the demand for hi-tech machinery and equipments continues at the same pace, I estimate that 5 years from now, a manufacturer who will not invest in advanced technology will not have the same advantages and therefore may be doomed to vanish before long. Diamond World: Since when are you providing your services to the Indian diamond industry? Zeev Leshem, CEO, Sarin Technologies Ltd: Sarin Technologies has been selling and supporting technological products for the Indian diamond industry since 1995, but our major breakthrough was in early 2004, when we replaced our local distributor with a new fully-owned subsidiary, Sarin Technologies India Pvt. Ltd. This allowed us to get closer to our clients in a way that was not possible before. Diamond World: What do you specialize in? Zeev Leshem: Sarin specializes in the development, manufacturing, marketing, and support of technological products for all aspects of diamond manufacturing, trading, and grading. Diamond World: What was the technological level of the Indian diamond industry five years back? Zeev Leshem: Five years ago and a little before that, Indian manufacturers were just starting to realize the potential technology had to offer to their business. Not everyone associated technology with competitive advantage in the diamond industry, because it is a traditional industry. Bringing working methods from traditional diamond manufacturing centres like Antwerp, Ramat Gan, and New York, many of the manufacturers relied on traditional rough planning and manufacturing processes which were passed on from fathers to sons. Diamond World: What is the current status of the technological awareness of the diamond industries in India? Zeev Leshem: Today it’s a completely different story. No serious manufacturer even contemplates opening or expanding a manufacturing plant without first equipping it with the latest technology. We applaud the Indian manufacturers for the way they embraced technology at a faster pace and in greater volume than anywhere else in the world. Diamond World: Do you also provide ‘After-sales services’? Zeev Leshem: As our customers’ needs progress, so do our services. This means that today’s offerings are far more advanced than those that were available five years ago. This also means that they include more sensitive parts which occasionally require support. We have support engineers who specialize in lasers, optics, mechanics, electronics, and software troubleshooting. Diamond World: What kinds of demands do your Indian clients come up with? Zeev Leshem: Requests from our customers in India are some of the most sophisticated ones we ever receive. This is because the Indian manufacturers are so advanced in their plant management and process engineering that they can pin-point the bottlenecks of their manufacturing process and seek our help in improving critical stages. 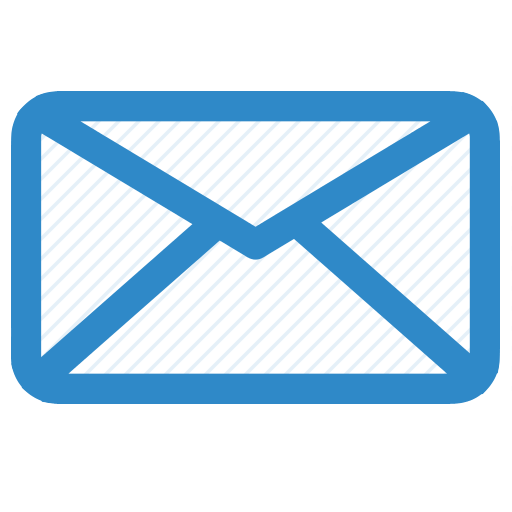 Many of the requests we receive are related to the advanced features we introduce in every new version. As soon as customers start using these features they immediately come up with improvement ideas on how to make the service even more effective for their needs. manual to machine oriented production in India as compared to that in other countries? Zeev Leshem: To accurately answer this question we need to divide the Indian manufacturing market into two separate segments: the medium-to-large manufacturers have the highest rate of manufacturing automation anywhere in the world. They are early adopters of cutting edge technological products and they lead the way for others to follow. In that sense, they have built the most advanced diamond manufacturing industry anywhere in the world; the small manufacturers, who are many in numbers but small in manufacturing volume, are obiveously not as advanced as the former group, but they are slowly making progress. In this sense, they are similar to smaller manufacturers in other places of the world, so there is still a lot of scope for Sarin to expand in this market segment. Diamond World: Since when is your company providing services to the Indian diamond industry? Dhaval P.D. : We have been providing complete software solutions for purchase, sales, inventory, Finance to the diamond industry from past six months but the research done behind the software to meet various needs for the diamond traders gives us an upper edge in the market. Dhaval P.D. : We being an R.F.I.D solution provider, we provide an asset management and tracking solution to the dealers which is of great use to them to trace their valuable shipments. Thus our s/w modules and added compatible security solutions are what we specialize in. Diamond World: Do you provide technical know-how and after-sales services to your clients? Dhaval P.D. : Yes, we do provide know-how along with our s/w product. In fact we provide a training session to the traders’ team for a specific period of time so that they get familiar with all the features and application of the software. This introduction of our client to use of our s/w package is free. Also we do provide an excellent after-sales service; a dedicated online (phone or mail) support is available for minor problems or some confusion created by wrong entries. If the problem is major we do send an onsite representative of our company to resolve the issue within no time. Diamond World: What kind of demands are you getting from your clients? Dhaval P.D. : We have received requests to make our software available in a local language (Gujarati) as all other features of our s/w package meet all their day to day activities of business. Diamond World: What in your opinion is the ratio of manual to machinery generated work? Dhaval P.D: The ratio of manual to machine operated production in India is low but within a few years it will surely increase. Diamond World: Since how long have you been providing services? Harry Gidwani: We have been providing our services to the jewellery industry since 1989. We specialize in providing all kinds of machinery, tools and equipments for the process of casting of jewellery. We decided to offer machinery for this step of jewellery manufacturing since it has the widest scope. Diamond World: What is the current technological status of the Indian jewellery industry? Harry Gidwani: Since my work demands a lot of touring, I have been to a number of countries like China, Japan, Australia but India has one of the best technologies as compared to its counterparts anywhere in the world. Diamond World: What is the ratio of manual to machinery oriented work in the jewellery sector here? Harry Gidwani: More than 70 per cent of work is done manually in the jewellery industry in India and only 30 per cent with machinery. Diamond World: What has been the growth rate of entrepreneurs going in for latest machinery in the jewellery sector? Harry Gidwani: Truly speaking, we recorded negative growth from SEEPZ in the year 2006. Although the growth was 15 per cent it was in dollar terms but the actual growth rate in terms of number of pieces was less. One of the reasons was a major hike in gold prices and that of oil. Diamond World: How are you planning to upgrade the technology of jewellery industry? Harry Gidwani: At the moment we are developing a special team of engineers who would provide excellent training to the manufacturers when we deliver the machinery. But as of now we are not anticipating many new factories coming up this year. Diamond World: Where do you foresee the technology level of the Indian jewellery industry five years from now? Harry Gidwani: In the next 5 years India will be the most technically advanced country but just in terms of having the best machinery. In terms of optimum utilization of the machinery Italy would still be the number one. It may sound funny but traders go for latest machinery as a part of their marketing gimmick to let their customers know how technically advanced they are! Diamond World: Since how long have you been in this industry? D. M. Musale: We have been serving the jewellery industry for the past 11-12 years. D. M. Musale: We provide instruments for quality control, testing of gold purity, percentage of alloying elements and laser machinery. Diamond World: What was the level of quality control instrumentation in India five years back and what is the advancement now? D. M. Musale: Not much change has taken place in the past five years but around ten years back traditional methods were used to test purity of gold which were time consuming and at times were not very accurate. But now not only traders but buyers also wish to know exact details of the percentage of alloy.Bureau of Indian Standards has also made it mandatory for all the jewellery retailers to sell certified jewellery. Diamond World: What is the latest development in the technology for instrumentation? D. M. Musale: These days some manufacturers are cheating people by adding metals like iridium and ruthenium. Melting point of these two metals is more than 2300-2500 degrees Celsius. So one cannot melt them in a lab where maximum temperature is 1100-1200 degrees. That is the reason why fire method of checking the purity of gold fails to check the presence of these two metals, so we have come up with the latest technology called ‘Pin Diode’. It is a special Diode with which one can detect spurious metals. Even Hallmarking centre is paying special attention for these kinds of metals. Diamond World: What is the percentage increase of traders going in for instrumentation technology each year? D. M. Musale: There is approximately 20 to 30 per cent rise in instrumentation intake every year. Diamond World: What are the projects you are currently working on? D. M. Musale: We are half way through in bringing Raman Lazer Spectrometer for the diamond industry. It is a special machine which can detect a fake and a real diamond. Although there are a few Raman Spectrometers in use but all are lab type and do not have simple applications. AM GLORIA BUANYAME,SOMEONE IS USING MY NAME AND MY TELEPHONE NUMBER TO DO THIS FRAUD BUSINESS.PLEASE NOBODY SHOULD DO BUSINESS WITH THIS SO CALL GLORIA BUANYAME.PLEASE I DONT DEAL IN ANY DIAMOND BUSINESS AM A STUDENT.PLEASE DONT DEAL WITH THIS PERSON.